Google recently announced the addition of a new feature for safety on the company's various products, this feature provides the possibility to identify all the devices connected to your account on Google across devices and activities, which became available to get through the security settings in your Google tab. 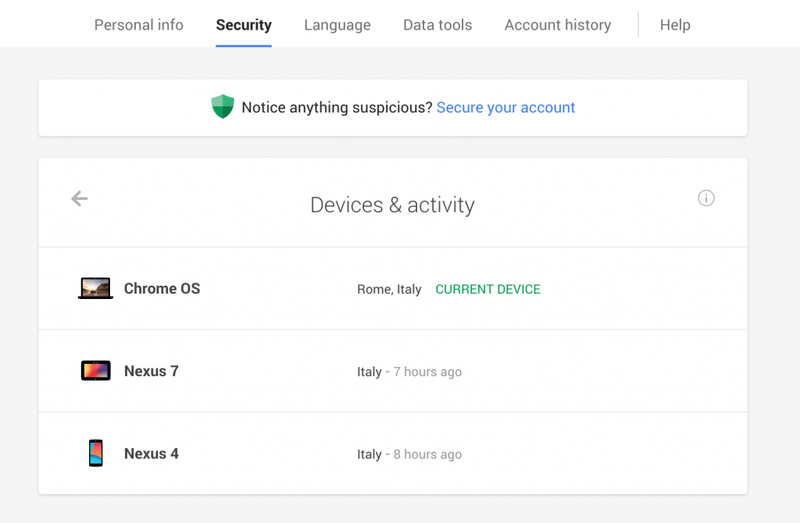 The new feature is useful for many users, especially those who use the applications and services Google different in business, and in the case of Note google for any suspicious activity on any device connected to your account the company will alert you immediately with instant options to get rid of this activity and protect the account, one of these steps will change request your password. And displays the hardware and all activities connected devices tab of your account during a period of time up to 28 days back, in the case of your note any suspicious device on your advise you to go to your account settings and change the password immediately. 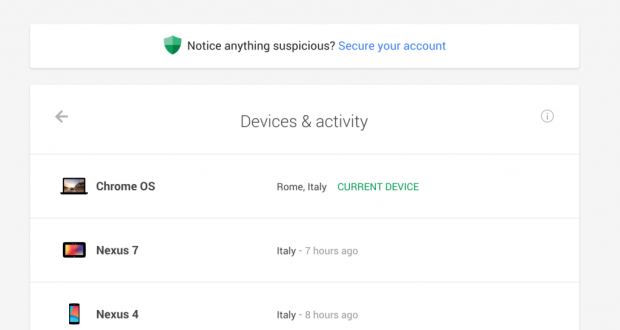 Google also announced for security processor accounts Google for Work, The main function in the user profiles of the steps that can be taken to run or modify the new protection features, such as a review of recent account activity or change the powers. This update from Google comes at a time when fears escalate following the emergence of many serious on the Internet, including the loophole "poodle" discovered by Google itself in the SSL 3.0 protocol gaps.